Controls whitefly, greenfly, blackfly, thrips, midges & other flying insects. Small flying insect pests are attracted by the vivid yellow traps and become attached to the natural adhesive coating which the whitefly and similar flying insects find impossible to leave. 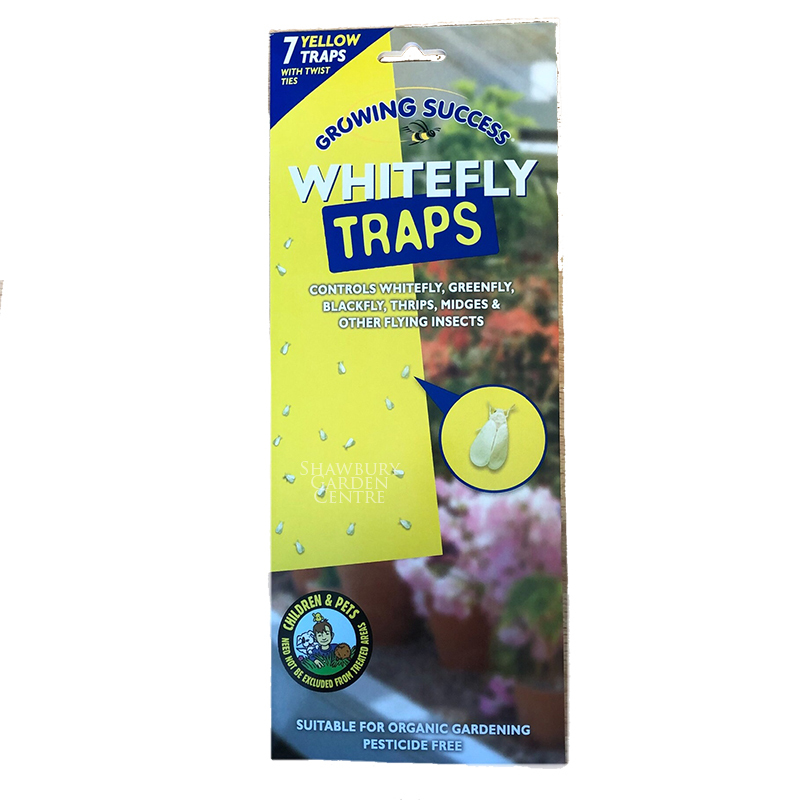 If you would like further information about Growing Success Whitefly Traps, please contact our garden centre at Shawbury just outside Shrewsbury in Shropshire, by calling 01939 251315 or emailing.